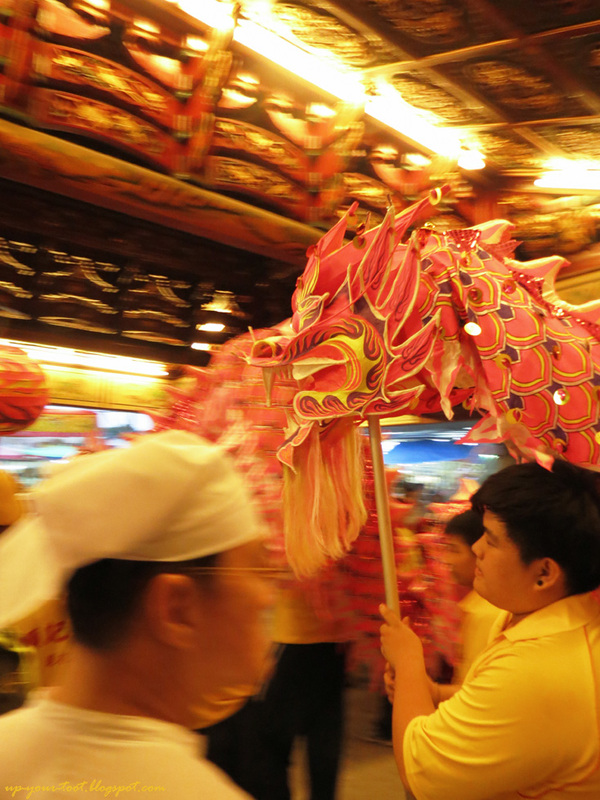 The second day of the Nine Emperor Gods Festival sees the invitation procession for the Finance Minister. So it is another busy day for the temple and devotees, not to mention photographers and bloggers too. 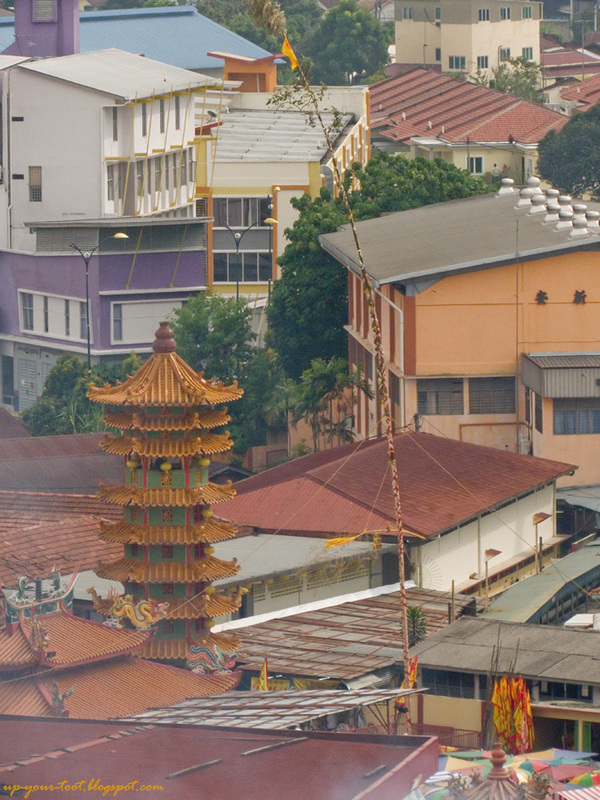 Strong winds swaying the bamboo pole late in the afternoon. It will usually rain before a procession, so looks like today will be different. 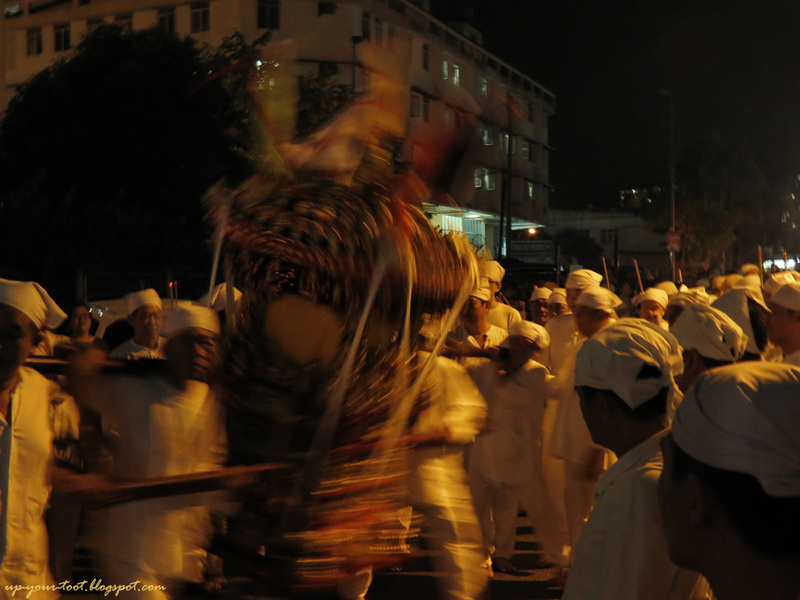 As time draws closer to the ceremony, the sky threatened to pour down on the devotees. 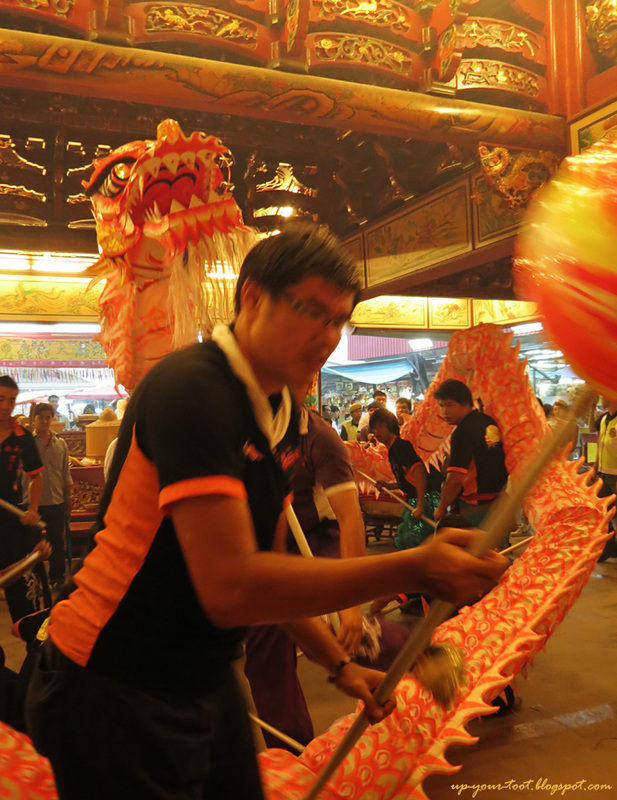 Wind was picking up speed and I could see the bamboo pole bend and sway wildly, being buffeted by the gusty winds. Certain parts of KL already had rain, so it was a matter of time before the heavens opened up on Ampang. Bad dog, bad dog Bad lion, bad lion, down boy...no chewing of pillars. I was half expecting the lion to lift up its hind legs and pee on the pillar. Hey, give me back my ball! 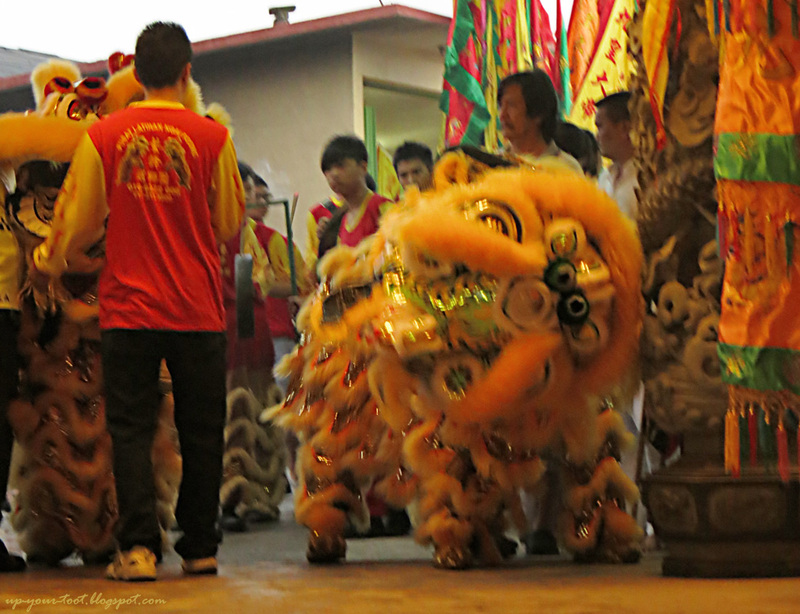 Dragon dance in front of the temple door. But come rain or shine, snow or fleet, sun or smoke, the ceremony must go on. So here's a few pics of the day, with more to come as I slowly put it in as my work schedule does not permit working on this all day. This is the way we smoke our crotch, we smoke our crotch we wash our feet, we wash our, we wash our feet...before the ceremony. 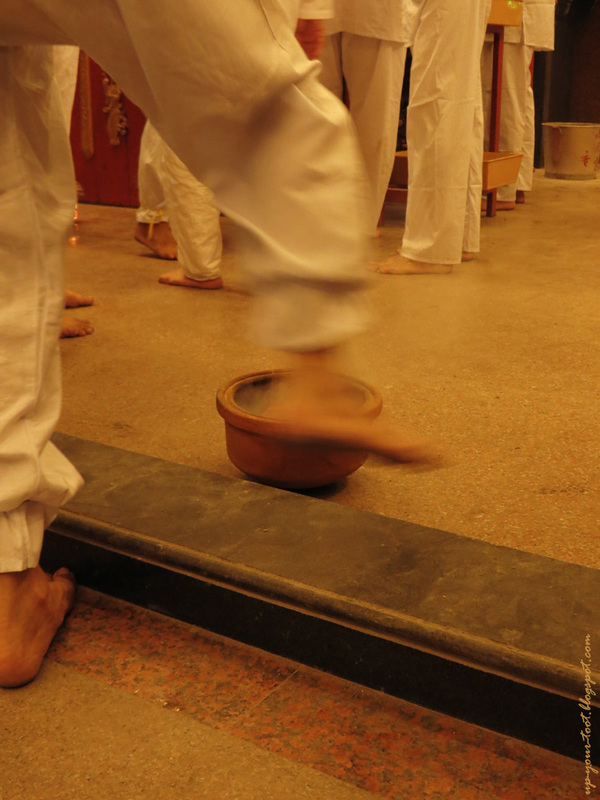 Those who are involved in the ceremony purify themselves with the smoke of sandalwood and fire. 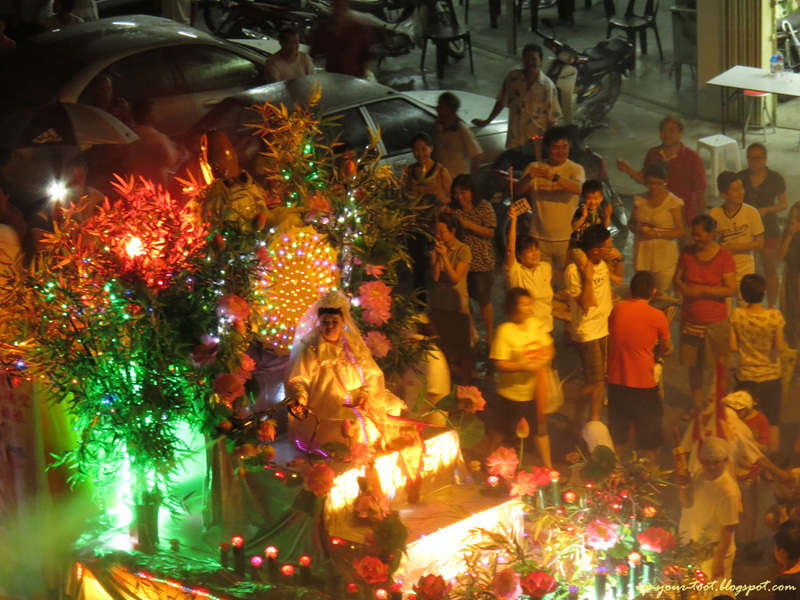 They say Guan Yin has many manifestations. I guess this 'prosperous' looking Guan Yin must be Guan Yin of Weight Watchers / Fat Fighters...the Saviour and Comforter of plus-sized people. If there is something weird 'dirty', and it don't look good, who ya gonna call?? GHOSTBUSTERS! Wrong! 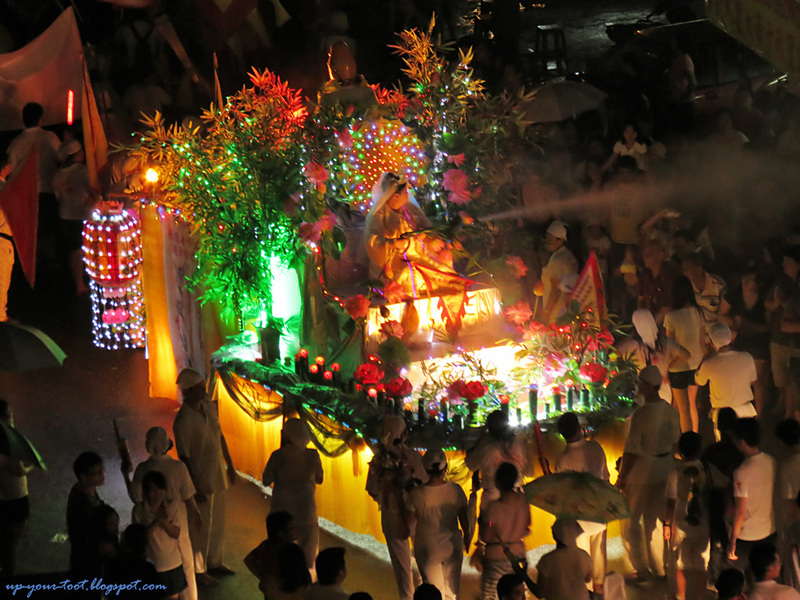 Call Guan Yin Ma - she's armed with a power sprayer to wash away all that is dirty and evil. 'Dirty' is a local euphemism for something evil or sinister.Err, Guan Yin Ma, can come help wash my car ahh? Dirty wor...Must pay RM 10 ah? Ok sure! Below is a unedited clip of several mediums going into trance and having parts of their body pierced or skewered before the procession to invite the Finance Minister. Warning - this is not for the fainthearted or for kids. Click at your own risk.